Air 21 - How to Ship? 1. 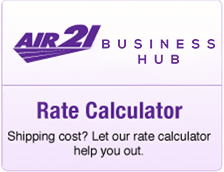 Find the closest Air21 Authorized Business Center or Mail and More location near you. 2. Bring your shipment and appropriate packaging material if your item is fragile. 3. Fill out Airwaybill and pay for the freight charges . 4. Seal shipment in the presence of Business Center agent or Mail and More staff, then turn over your shipment. 5. Keep your copy of the Airwaybill, take note of your Airwaybill number to track your shipment online at www.air21.com.ph or through SMS. 6. Inform the shipment’s consignee that there is a shipment for them. 1. If your shipping costs below PHP1,000, you can still avail of this service by adding your freight charge to the remaining amount needed for you to reach the minimum rate of P1,000. 2. Call the Customer Service hotlines to book a pickup. 3. Prepare your shipment, make sure you have enough packaging material to protect your shipment. Do not seal your shipment. 4. Wait for courier to arrive. 5. Fill out Airwaybill and pay for freight charges . 6. Seal shipment in the presence of courier. 7. Keep your copy of the Airwaybill, take note of your Airwaybill number to track your shipment online at www.air21.com.ph or through SMS. 8. Inform the shipment’s consignee that there is a shipment for them. Check service you are availing. Check the appropriate box. Courier will weigh the package; write the weight and total number of packages. Check appropriate box, HV (High Value) for shipments valued P5,000 and above, DG if dangerous goods are inside shipment. 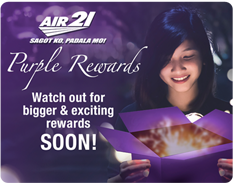 Check HAL (Hold-At-Location) if you wish to collect the package at the nearest Air21 station, or Mail and More branch . ODA if your location is outside the delivery area. 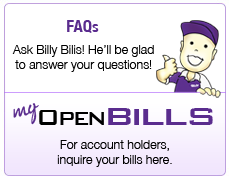 By signing on this line, you agree to Air21’s terms and conditions . **Please take note that there should be someone to receive the package at the destination address. 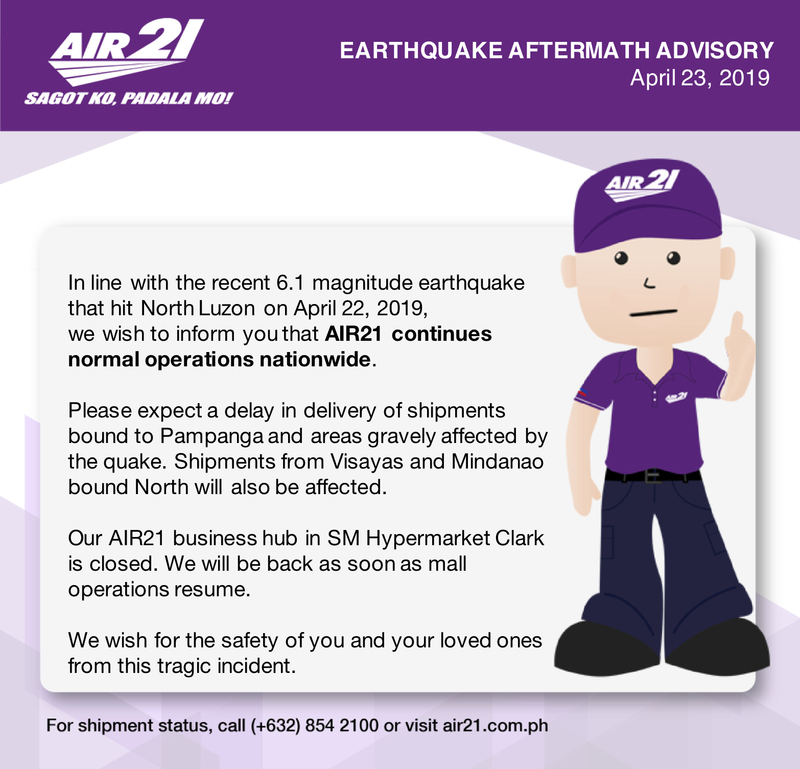 AIR21 will attempt to deliver thrice, then the package will be returned to the sender.